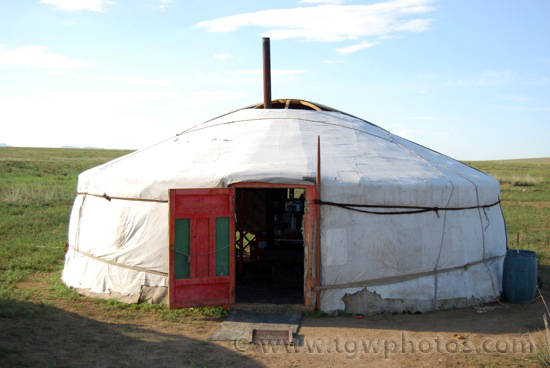 Yurts are the Mongolian’s version of cheap, moveable housing. They got it together with housing design over centuries of living. A Yurt is a cylindrical, dome type of home, some up to 30 feet in diameter, with a small vent hole in the center of the roof, a hearth in the middle of the room. Mongolians live in them for months at a time, following the seasons and game migration. They are insulated well, and worked wonderfully for a very long time. Today, you can get a modern yurt, in a wide variety of sizes and options, typically 18, 24, and 30 feet in diameter. In most states yurts are considered temporary living / shelter, so are not taxed. I met a person who lived full time in one for 3 years. Today you can get ones with full baths, windows, stoves, and connect them to other yurts to make a multi-roomed structure. People typically install them on a platform with a wood floor. Yurts can be used for storage, for guest shelter, and countless other things. They withstand winds well because of their shapes.